Thomas Müller and Germany are hoping their dramatic 2-1 victory over Sweden on Saturday can provide the spark they need to find their rhythm at the World Cup 2018 as they seek to retain their title. "We gave our absolute all and by the end it paid off," said Müller after Toni Kroos' sensational 95th-minute free-kick sealed Die Mannschaft's comeback against the Scandinavians. "We weren't perfect by any means, but we came through against the odds. This could be a turning point for us in this tournament." Following an opening 1-0 reverse to Mexico, Germany fell behind for a second successive game. Just as they had against El Tri, Joachim Löw's men allowed Sweden a number of clear-cut opportunities, and despite dominating possession and creating several chances of their own, Germany lacked a clinical edge and struggled to break down their resilient opponents. Now, however, the hope is that the dam has been broken. "In the changing room it was pure elation," said RB Leipzig forward Timo Werner, who was heavily involved in both of Germany's goals against Sweden after moving out to the left wing in the second half. "Several of us just started shouting. Some couldn’t speak. I almost cried when we scored the second. We absolutely deserved that win. It has to be [a turning point]. I believe that the chance we took has saved our tournament." 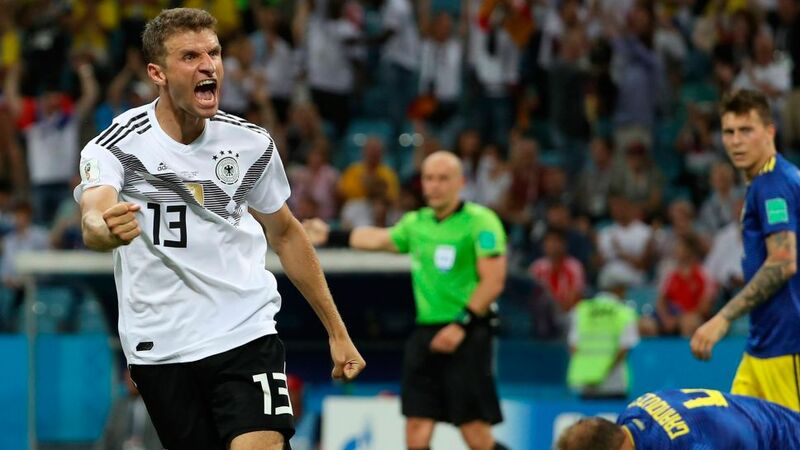 Having been on the brink of a humiliating early exit, Müller, Werner and Co. now have their fate in their own hands and know that a victory by two clear goals in their final Group F assignment against South Korea would take them into the knockout rounds. Germany will have a couple of days back at their base in Vatutinki before making the short flight east to Kazan, where they meet the Koreans on Wednesday. They will be without centre-back Jerome Boateng for that game after his sending off in the closing stages on Saturday, but Mats Hummels should have recovered from a neck injury by then to return to the side. Midfielder Sebastian Rudy is a doubt after undergoing surgery on a broken nose sustained in the first half against Sweden. Click HERE for South Korea vs. Germany LIVE build-up!